Within the first two years of existence, Solax had become so successful that the Blachés were able to “invest more than $100,000 into new and technologically advanced production facilities in Fort Lee, New Jersey, a place that was quickly becoming the film capital of America and home to many major film studios. 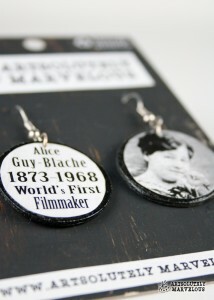 It was commented on in publications of the era that Guy-Blaché placed a large sign in her studio reading ‘ACT NATURALLY'” The company produced over three hundred films before the outbreak of WWI, and Alice’s contributions were wide and varied, ranging from short films of less than a minute to full-length multi-reel features. She pioneered color and sound in films, with some films hand-tinted in color, and making more than one hundred films with synchronized sound made between 1906 and 1907, on an early device called the ‘Chronophone’, which combined sound recorded on a wax cylinder with the filmed image. By 1913, the cinema industry changed drastically, and many companies left the East Coast for the sunny climes of Southern California (D. W. Griffith made the first film in Hollywood, a 17-minute short film In Old California, which was released on 10 March 1910). The Solax Company was not one of those who survived the transition. However, by then Alice’s marriage to Herbert had broken, and after they dissolved their business partnership she became a sort of freelance director for the major studios. Alice and Herbert finalized their divorce in 1922 and she returned to France with her two children (Simone and Reginald, born in 1908 and 1911, respectively). Though she never made another film, and her accomplishments forgotten–or worse, contributed to her male peers–she spent the next thirty years lecturing on cinema and writing novels based on film scripts. In 1953 France rectified their ignorance by giving her the Legion of Honour, and after this, Alice’s life was rather uneventful. She returned to the United States in 1964 and wrote her memoirs, which were published eight years after her death in 1968. 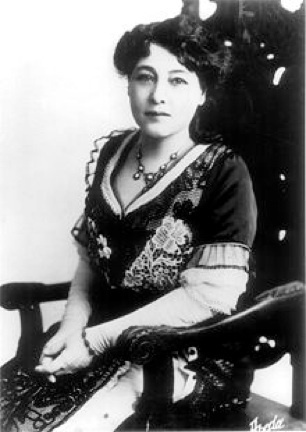 A handful of Alice Guy-Blaché’s films survive, but thankfully, she has been restored to her rightful place as a pioneer in cinema history, and thanks to the magic of YouTube, you can watch one of those surviving movies, Falling Leaves (1912), a drama centering on Winifred’s (Marion Swayne) illness from “consumption”. What an interesting post. And what a great discovery (your site). I write historical fiction, mainly based in late 19th century or very early 20th, so am eager to read all your posts covering those eras.